Unfortunately, if you were injured by a medical professional in Florida, you need to do a lot more than draft and file a complaint. Because there is so much as stake in medical malpractice cases, the state of Florida requires accident victims to prove their damages via a “certificate of merit,” which is essentially a verified written medical expert opinion. The purpose of this certificate is to ensure that a healthcare provider’s reputation or record is not marred because of a frivolous claim. If you believe that you were wronged by a healthcare provider, your first step should be to consult with an experienced Miami medical malpractice attorney. Our lawyers here at Spencer Morgan Law will evaluate your case and determine whether or not you do have a valid claim. If we believe that you do, we will begin the pre-suit investigation phase. The first step of this stage is to consult with a practicing medical expert to obtain his or her opinion on the matter. The doctor cannot be your own, and he or she must work in the same field as the one who hurt you. This expert will review your case in much the same way we did and either agree that the medical professional or facility did not follow the appropriate standard of care or not. If the doctor agrees, it means we have the appropriate information to move forward with your case. All doctors and healthcare professionals are required to uphold a standard of care that is routine in their profession. What this means is that a healthcare provider must act in the same manner that any other healthcare professional in the same field and given the same circumstances would. 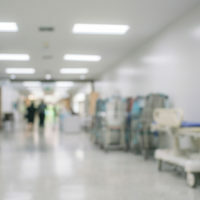 If a healthcare provider deviates from the standard of care and if a patient is injured as a result, he or she may be construed as “negligent” and therefore, held liable for damages. A medical expert’s opinion is essential to determining whether or not a healthcare provider did in fact stray from the standard of care, hence the need for a certificate of merit. It is important to note that just because you have a certificate of merit does not mean that you automatically win your case. It simply means that you have grounds to file a medical malpractice claim. The process from there will only become more complex and involve more legalities. It will also involve more paperwork and gathering enough evidence to prove that the doctor was negligent and that said negligence lead to your injuries. For this reason, it is beneficial to have an experienced medical malpractice lawyer on your side. At Spencer Morgan Law, our team is prepared to help you take the necessary steps to recover compensation for your injuries. If we believe that you do have a valid medical malpractice claim, we will put our resources to work for you and ensure that we obtain a certificate of merit from a reputable medical expert. To begin your fight for compensation, reach out to our Miami medical malpractice lawyers today.